Now that the new year is in full swing, I have given some thought to what the purpose of this Vox once was (a food diary and calorie tracker), and what it has now become (a photo-based food blog). While I enjoy sharing my experiences with everyone and learning to photograph food in ways that aim to capture their flavors and textures, somewhere along the way I started to step away from the original goal of this blog, which was to help me eat healthy through tracking everything that I ate. Today I was introduced to a site called SparkPeople, which is an extensive free website that offers a lot of tools for staying healthy, connecting with others, and tracking your food and exercise. I'm pretty excited to start up a daily food log again, and it sure is easy doing it using SparkPeople (as well as very eye-opening, as it always is when you first start to track your food). I'm excited to start focusing on eating and staying healthy once again! 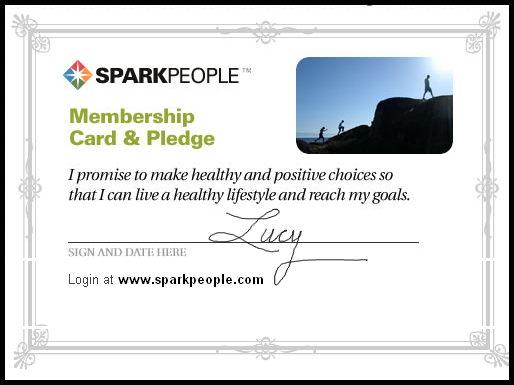 Well that's my plug for this site, and rest assured that my Vox will remain as it is, a place to drop by and see food when you're hungry :) Finally, here is my SparkPeople pledge for staying healthy! 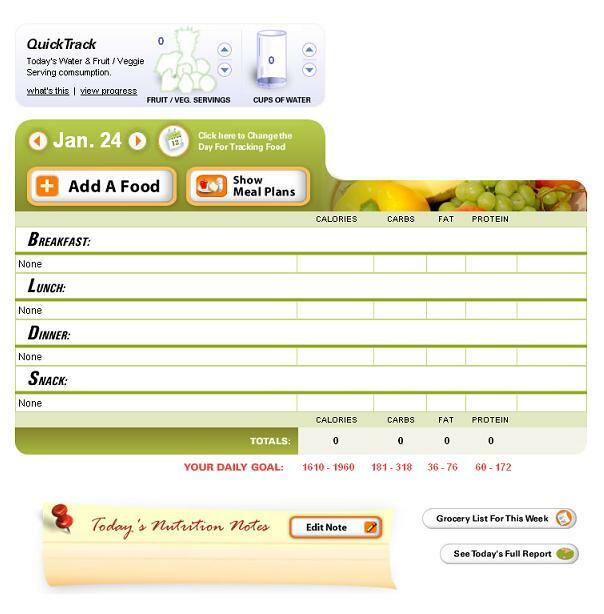 And this is what the food tracker interface looks like… I love it! This entry was posted on Thursday, January 24th, 2008 at 7:34 am	and posted in miscellaneous, Uncategorized. You can follow any responses to this entry through the RSS 2.0 feed.